Bequeathed by Alfred Percival Maudslay, Esq. 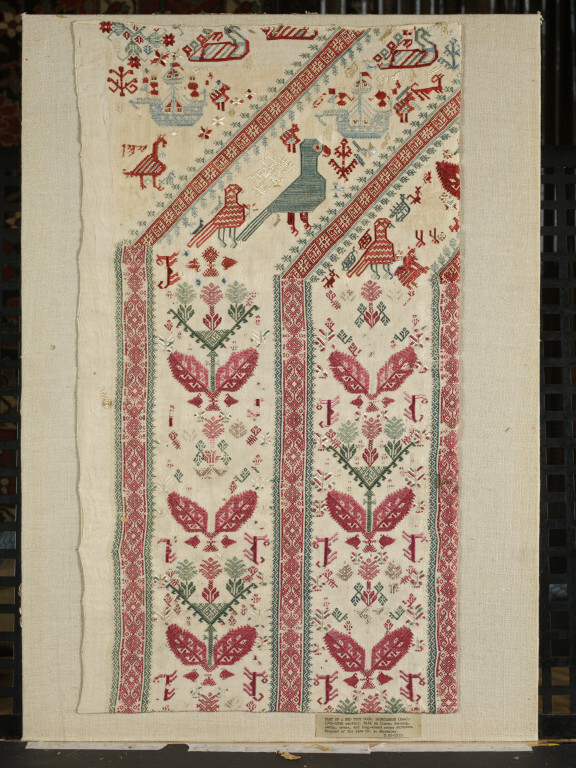 Textile fragment of the left hand half of a Cos bed door curtain of embroidered linen in silks in darning, satin, cross and long-armed cross stitches. It is not quite complete at the top and has probably been shortened at the bottom. It shows one side of the upper half, the gable. On the side of the doors are two parallel bands of vertical King pattern, with a border of the usual hexagon and star pattern between them on each side. There are eight King pattern units. 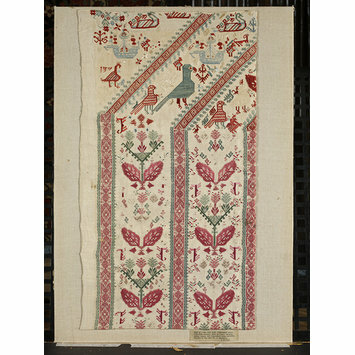 At the sides of these King pattern unites are deer in red satin stitch, set vertically and not horizontally as usual.